"A Total Lunar Eclipse Will Coincide With a Supermoon This Sunday Night"
"Here comes a total lunar eclipse and supermoon, all wrapped into one. The moon, Earth and sun will line up this weekend for the only total lunar eclipse this year and next. At the same time, the moon will be ever so closer to Earth and appear slightly bigger and brighter than usual — a supermoon. “This one is particularly good,” said Rice University astrophysicist Patrick Hartigan. “It not only is a supermoon and it’s a total eclipse, but the total eclipse also lasts pretty long. It’s about an hour.” The whole eclipse starts Sunday night or early Monday, depending on location , and will take about three hours." Super Blood Wolf Moon Viewing Times & Live Stream !! If you're interested in viewing the full lunar eclipse, check out the times below. 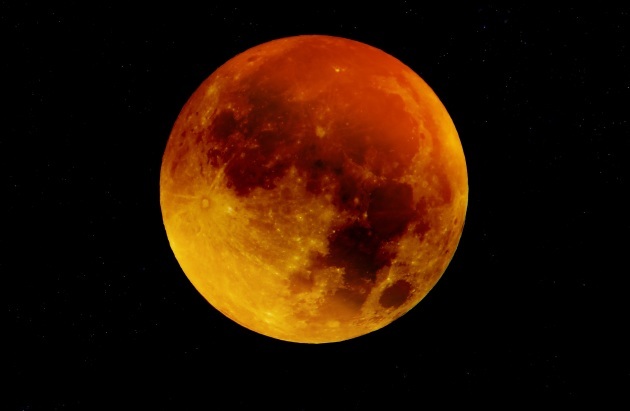 Note that the maximum eclipse around 11:12 PM, when the moon will appear red (aka Blood Moon). If you can believe it, we've set a new record here in the Twin Cities for the latest first sub-zero temperature on record. 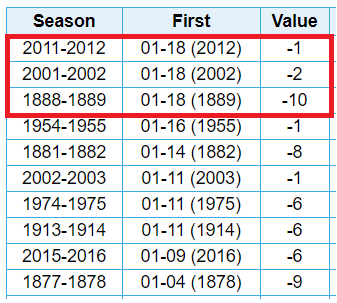 The record at MSP was January 18th, which occurred 3 times in 1889, 2002 and more recently in 2012. Sunday morning (January 20th) should be our first potential sub-zero temperature of the season this weekend. High temps on Sunday will still be quite a bit cold across the region , especially across northern MN where high temps will only warm into the single digits (nearly -15F to -20F below average). 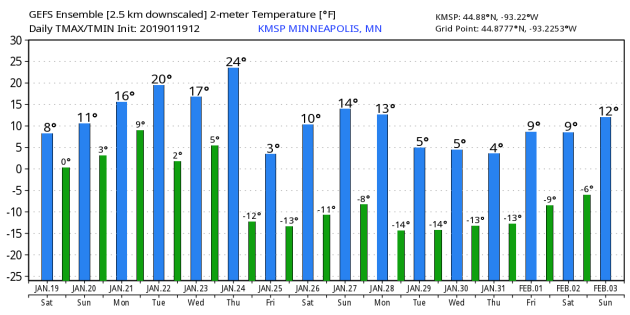 The Twin Cities will only warm into the low/mid teen, which will be nearly -10F to -15F below average. Here's are the coldest wind chills expected on Sunday. Note that folks up north could be in the -20s to -40s range once again, while the Twin Cities could be in the -10s to -20s range. It will definitely be another cold day, bundle up! Our next snow chance rolls in early next week with what looks like our first coating of snow across the Twin Cities in quite some time. Plan on slow commutes early next week as this system rolls through. Here's the GFS (American Model) snowfall potential through the middle part of next week, which suggests some shovelable snow potential across much of the southern two-thirds of the state. Stay tuned! "One To Two Feet Of Snow Possible In Parts Of The Northeast Through The Weekend"
Winter weather is impacting parts of the Great Lakes and Ohio Valley this morning, with another area of wintry weather across parts of Oklahoma and Arkansas. Snowfall totals have been as high as 15” across parts of southern Minnesota where the snow had come to an end. Snow and ice will continue to impact the Ohio Valley and spread into the Northeast throughout the day. This snow will continue, heavily at times, across the Northeast into Sunday before finally starting to taper off. While several inches of snow will be possible into Sunday across the Ohio Valley, the heaviest totals will fall across parts of eastern Ohio into New England. In eastern Ohio, totals up to a foot will be possible. From central Pennsylvania into Maine, snowfall totals of 1-2+ feet are possible. We will also be watching an icing threat with this snowstorm, with areas in parts of the Appalachians, across eastern Pennsylvania into northern New Jersey, and across parts of Connecticut, Rhode Island, and eastern Massachusetts potentially seeing a quarter inch or more of ice. A state of emergency has been declared ahead of this snowstorm in Pennsylvania and New Jersey. In Pennsylvania, there is a ban on all commercial traffic on most interstates (except I-95) from noon today to noon Sunday. Snow Continues To Impact The Central And Eastern U.S. Snow will continue to fall across parts of the central U.S. today (as far south as parts of northern Arkansas), moving into the Northeast and New England throughout the day. This snow will continue, heavily at times, across the Northeast into Sunday before finally starting to taper off. We will also have to watch the ice potential tonight from the Ohio Valley into parts of southern New England, and once again tomorrow across parts of the Northeast. Fort Smith, AR: Winter Weather Advisory through 6 PM tonight for snow up to 2” and a light glaze of ice. St. Louis, MO: Winter Weather Advisory through 9 PM tonight for 2-3” of snow. Chicago, IL: Winter Storm Warning until Noon today for a total of 5-9" of snow. Milwaukee, WI: Winter Storm Warning until Midnight tonight for a total of 5-9" of snow. Indianapolis, IN: Winter Storm Warning until 4 AM Sunday for 3-5" of snow and up to a tenth of an inch of ice. Louisville, KY: Winter Storm Warning from 4 PM today to 7 AM Sunday for 4-6” of snow. Cleveland, OH: Winter Storm Warning until 4 AM Monday for 6-11" of snow through Sunday morning, with lighter lake effect snow Sunday and Sunday Night. Pittsburgh, PA: Winter Storm Warning from 10 AM Saturday to 10 AM Sunday for 4-9” of snow and up to a tenth of an inch of ice. Buffalo, NY: Winter Storm Warning from 10 AM Saturday to 6 PM Sunday for 8-14" of snow. Albany, NY: Winter Storm Warning from 4 PM Saturday to 4 PM Sunday for 10-20" of snow. Baltimore, MD: Winter Weather Advisory from 1 PM to 9 PM today for up to an inch of snow and less than a tenth of an inch of ice. New York City, NY: Winter Weather Advisory from 4 PM today to 4 AM Sunday for 1-3” of snow and a light glaze of ice. Boston, MA: Winter Weather Advisory from 4 PM Saturday to 7 PM Sunday for 4-6" of snow and up to a quarter inch of ice. Portland, ME: Winter Storm Warning from 7 PM Saturday to 1 AM Monday for 14-18" of snow. Snowfall Potential. Across the Ohio Valley several inches of snow is still possible today into Sunday. The greatest totals across this area will be across parts of Ohio, where totals of up to a foot will be possible in eastern parts of the state. The heaviest snow over the next couple days, however, will be from central Pennsylvania northeastward through New England, where 1-2+ feet of snow will be possible. Closer to the I-95 corridor from southern New England into New York City, snowfall totals are expected to be lower due to precipitation changing over to sleet, freezing rain, and rain at times during the system. This heavy snow - along with gusty winds over 30 mph at times - could cause some power outages. This heavy snow will also impact travel across the region. Ice Potential. A swath of ice is still expected with this system as well, especially across parts of the Ohio Valley into New England. Some of the heaviest expected ice accumulations are possible in parts of the Appalachians, across eastern Pennsylvania into northern New Jersey, and across parts of Connecticut, Rhode Island, and eastern Massachusetts. 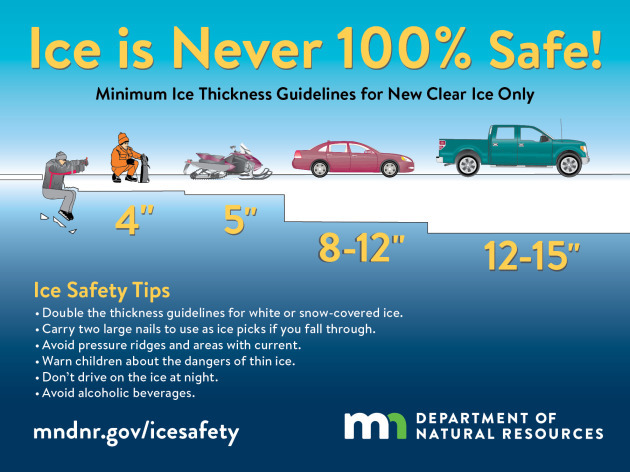 In these areas mentioned, a quarter inch or more of ice is possible. There will be the risk of power outages across the region that sees the heaviest ice accumulation, with slick roads possible wherever enough ice falls to accumulate on roadways. Chicago Snow Potential. In Chicago, an additional 1-3” of snow is expected to fall with this system through the midday hours today, with overall storm total snowfall totals of 5-9”. However, snow will still continue into Sunday due to lake effect snow with an additional 3-6” possible. Therefore, overall additional snow from today into Sunday could be over 6” near the lake. New York Snow And Ice. In New York City, precipitation will start off as snow during the late afternoon hours today, turning over to a wintry mix of snow, sleet, and freezing rain late this evening and then all rain (some of it heavy at times) after midnight tonight. Rain will continue into Sunday before temperatures crash, helping change precipitation to freezing rain in the afternoon hours and causing wet surfaces to quickly freeze over. Overall snow and sleet accumulations of 1-3" will be possible in New York City, with some slight icing possible as well this evening and Sunday afternoon. Better chances of accumulating snow and ice will occur west and north of town. Coastal Flood Concerns. We will also be watching the potential of minor to moderate coastal flooding Sunday morning near high tide along the New England and Long Island coasts. Due to this potential, Coastal Flood Warnings and Advisories have been issued, with inundation of up to 3 feet possible. Hey look at this. According to NOAA's CPC, there appears to an extended period of below average temperatures across much of the eastern half of the nation as we head January 26th - February 1st. The colder air looks especially consistent along and east of the Mississippi River Valley. Take a look at the extended temperature outlook as we head through the end of the month and it looks like a few waves of colder air will slide through during the 2nd half of the month. It won't be anything that we haven't seen before, but it will be a little nippy. Heavy snow fell across parts of southern MN on Friday with the heaviest tally coming in from Mapleton (south of Mankato) at 12.5" !! Note that the Twin Cities has only seen 11" of snow so far this season, which is nearly 18" below average! Interestingly, Rochester has seen nearly 24" of snow this season, International Falls has seen nearly 25" of snow this season and Duluth has seen nearly 35" of snow this season. Also note that there is only one climate locations that are reporting above average snowfall for the season (Marquette, MI). Other than that, every location is reporting below average snowfall for the season. Last week at Mall of America: "Hey Paul, are people still yelling at you?" Which got me thinking. "There are only 3 or 4 days a year when people aren't yelling at me" I explained. It's not possible to please all the people all the time. That's true this winter. Ice skaters are thrilled; snow lovers growl every time I walk by. Head-butting the Doppler doesn't help. Turns out we're all helpless spectators. Here's what I pretend to know: the next 2 weeks will be coldest of the winter. Not record-cold, but a few mornings may be "where-the-heck-am-I-living?" cold. 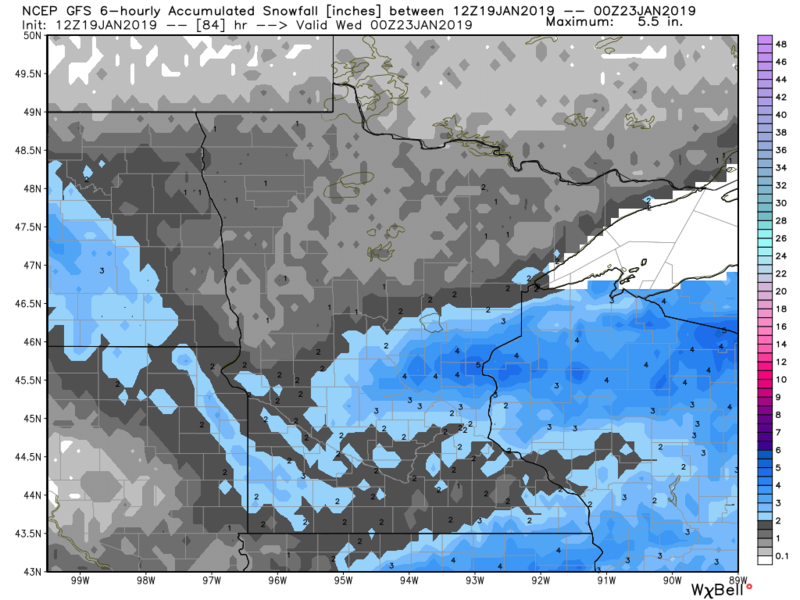 The pattern STILL isn't ripe for heavy snow in the MSP metro area, but an inch or two may fall Tuesday; another cosmetic coating from a clipper next Saturday. Buckling jet stream winds cut off any moisture from the Gulf of Mexico, limiting snowfall potential to clippers - each one yanking a payload of numbing air into town. Expect single digits & teens for highs into early February; even the metro area may not climb above 0F on Friday. Chillingly good news: we'll all be well-preserved! SUNDAY: Clouds, flurries west. Winds: E 5-10. High: 10. SUNDAY NIGHT: Mostly cloudy & nippy. Winds: SE 5-10. Low: 4. MONDAY: Mostly cloudy, few flurries. Winds: SE 10-20. High: 18. TUESDAY: Light accumulations of snow possible. Winds: SE 10-15. Wake-up: 14. High: 22. WEDNESDAY: Drier. More clouds than sun. Winds: SW 5-10. Wake-up: 9. High: 19. THURSDAY: Tumbling temperatures. Winds: NW 10-20. Wake-up: 9. High: 16. FRIDAY: Sunny. Yes, "It's cold enough for me." Winds: W 5-10. Wake-up: -12. High: 0. SATURDAY: Light snow or flurries. Slick spots. Winds:S 7-12. Wake-up: -8. High: 7. 1982: Just over 17 inches of snow falls in the Twin Cities. Amazingly, it was to be outdone two days later. 1917: 16 inches of snow falls in the Twin Cities. "Skygazers are set to be treated to a total lunar eclipse this weekend, on top of a “super blood wolf moon.” The cosmic event is the convergence of a few stellar lunar events — an eclipse coinciding with a supermoon turning an eerie blood red. The eclipse will be visible to much of the Western Hemisphere, including Canada, the U.S., Mexico and South America on Sunday, Jan. 20, and finish early Monday, Jan. 21. Here’s what you need to know. If you’re planning to watch the lunar eclipse, you may have to stay up a late. It begins around 9:12 p.m. ET on Jan. 20. However, you probably won’t be able to see any movement until the first phase of the eclipse, which is set to happen at 9:34 p.m. This is when the moon starts to get a little darker. Around 10:41 p.m., the full eclipse slowly sets in and then the maximum eclipse is set to take place at 11:12 p.m.. Jan. 21. The total eclipse will end at 11:44 p.m. Unlike a solar eclipse, it’s completely safe to watch a lunar eclipse with the naked eye." "On January 20-21, we’ll have the first full moon of 2019, and the first lunar eclipse of 2019 (and this is an eclipse-heavy year, with three solar and two lunar eclipses). It can be viewed from North and South America, Greenland, Iceland, Europe, northern and western Africa, plus the Arctic region of the globe. More details – and eclipse times for North America, plus links for those elsewhere – below. The eclipse will happen on the night of the year’s first of three straight full supermoons, meaning the moon will be nearly at its closest to Earth for this January, as the eclipse takes place. Now here’s a single, sad last thing. This will be the last total lunar eclipse to grace Earth’s sky until May 26, 2021." High temps across the country on Sunday will still be warmer than average across the western half of the country, but colder than average temps have now taken up residence across the eastern half of the country with waves of cold air likely continuing there through the end of January. Weather conditions over the next 2 to 3 days will be quite active across the country as a series of Pacific storms work across the country. Areas of heavy rain and snow will be possible as they slide east. The storm in the Northeast will continue to cause issues on Sunday, while another snow event will move into the Central US early next week. "Climate Change’s Giant Impact on the Economy: 4 Key Issues"
"Many of the big economic questions in coming decades will come down to just how extreme the weather will be, and how to value the future versus the present. By now, it’s clear that climate change poses environmental risks beyond anything seen in the modern age. But we’re only starting to come to grips with the potential economic effects. Using increasingly sophisticated modeling, researchers are calculating how each tenth of a degree of global warming is likely to play out in economic terms. 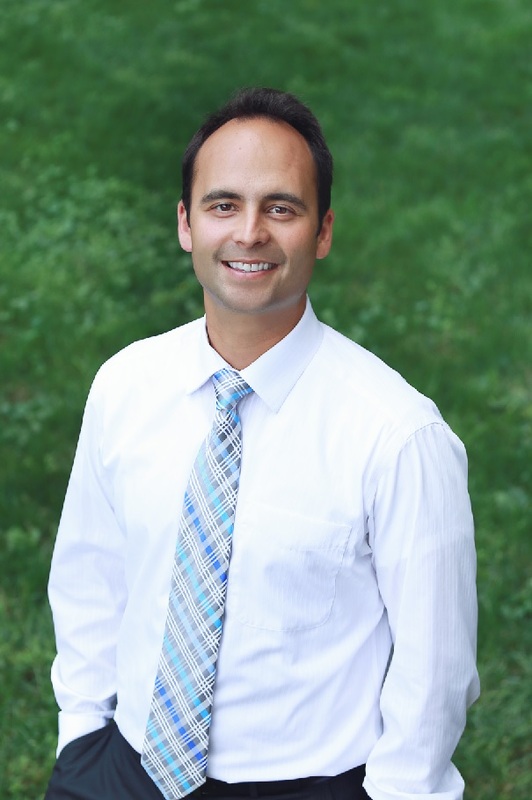 Their projections carry large bands of uncertainty, because of the vagaries of human behavior and the remaining questions about how quickly the planet will respond to the buildup of greenhouse gases. A government report in November raised the prospect that a warmer planet could mean a big hit to G.D.P. in the coming decades." "Quick, make a wish! Satellite is sent into space which will create the world's first artificial meteor shower and provide on-demand SHOOTING STARS for the super-rich"
"Tokyo-based ALE claim fake meteor showers are longer and better than real ones. Pricing remains confidential but is expected to be at least several million pounds. Pellets less than a half inch in size will be destined to burn up in the atmosphere. They can be dropped at a specific place and at a specific time at the behest of wealthy clients A Japanese firm has sent a satellite into space to help create the world's first artificial meteor showers. The spacecraft, about the size of a large backpack, has been sent into orbit attached to Japan Aerospace Exploration Agency (JAXA)'s Epsilon Rocket #4 to test the feasibility of man-made meteor showers.The launch lays the foundations for the possibility of on-demand shooting stars by early 2020. Medium-sized metallic pellets less than a half inch in diameter will burn up in the Earth's atmosphere at a specific time at the behest of paying customers." "The most dangerous climate feedback loop is speeding up"
"In Siberia, the carbon-rich permafrost warmed by 1.6°F in just the last decade. The carbon-rich permafrost warmed “in all permafrost zones on Earth” from 2007 to 2016, according to a new study. Most ominously, Siberian permafrost at depths of up to 30 feet warmed a remarkable 1.6°F (0.9°C) in those 10 years, the researchers found. The permafrost, or tundra, is soil that stays below freezing (32°F) for at least two years. Permafrost warming can “amplify global climate change, because when frozen sediments thaw it unlocks soil organic carbon,” warns the study, which was released Wednesday by the journal Nature Communications. The thawing releases not only carbon dioxide but also methane (CH4) — a far more potent greenhouse gas — thereby further warming the planet. And as the planet continues to warm, more permafrost will melt, releasing even more greenhouse gases in a continuous feedback loop." "An aurora named Steve: Experts explain what creates the northern lights"
"World's oceans absorbed the same amount of heat last year as 150 MILLION 'Little Boy' atomic bombs that destroyed Hiroshima"
"Last year the world's oceans absorbed the same amount of heat as 150million Hiroshima bombs, a new study claims. Scientists also found 2018 was the worst year for ocean warming since records began in the 1950s. The top 6,500 feet (2,000 metres) of ocean absorbed 19.67 x 10²² Joules of energy, 388 times more than the total electricity generated in China during 2017.Following 2018 as the hottest oceanic years on record are 2017, 2015, 2016 and 2014, in descending order." "FOR NERVOUS CALIFORNIANS, FIRE-PROOFING IS A NEW OBSESSION"
"On a crisp winter morning, while my daughters lingered over pancakes with their grandparents, I drove a couple of miles past houses nestled among incense cedars, Ponderosa pines, and Douglas firs. I couldn’t help imagining those trees roaring with flames, because I was going to watch the neighbors set a patch of land on fire. I grew up here, in Nevada City, California, about halfway between Sacramento and Lake Tahoe in the northern foothills of the Sierra Nevada mountains. Like many of our neighbors, my family came for the forest, but with the forest comes forest fires. And in the last few years, it seems like all of the West has been on fire. A quarter mile up a steep driveway, where the rising sun illuminated a panorama of wooded ridgelines, I met Dario Davidson, a retired forester wearing a grubby baseball hat and well-worn leather gloves. He was there to conduct a controlled burn, a way of clearing out the underbrush and leaves that provide tinder to wildfires. In one hand he picked up what looked like a low-key flamethrower, called a drip can, and with the other, he flicked a lighter until the mixture of gasoline and diesel at its wick flared. Then he tipped the can forward and dribbled out a line of flaming fuel onto the forest floor." Least Snow Since 2007. Siberian Slap Coming?